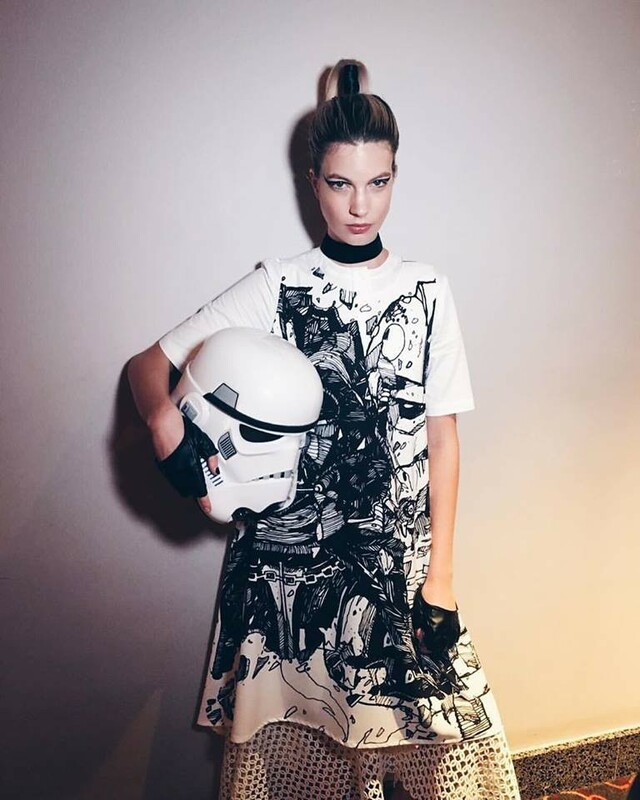 To celebrate the release of Rogue One in Singapore, the gala premiere included a fashion show, with Star Wars collections from local designers. 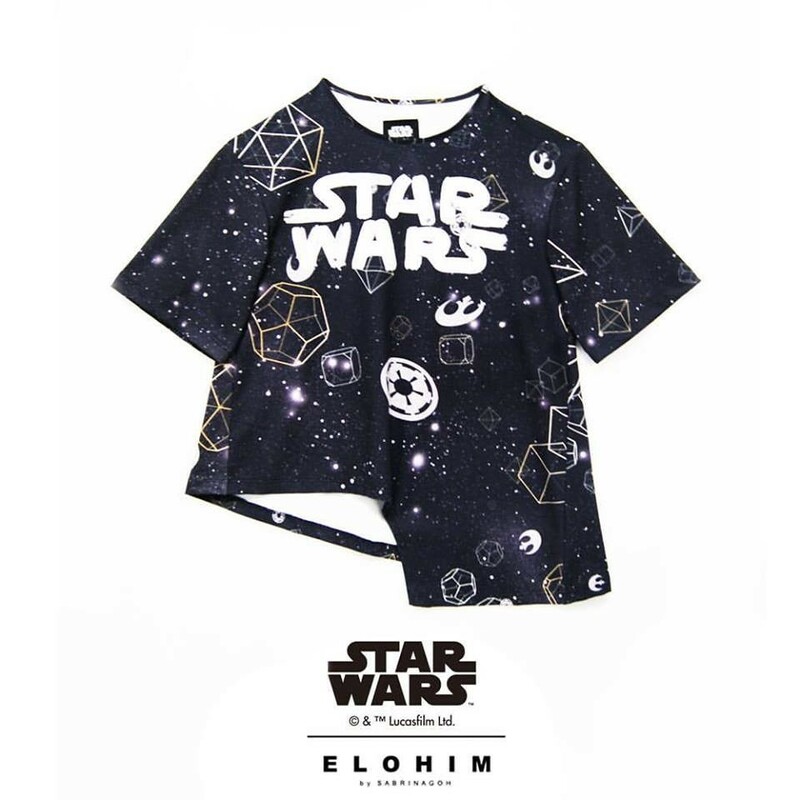 Founded in 2009 by Singapore based designer Sabrina Goh, ‘Elohim by Sabrina Goh’ showcased a stunning women’s Star Wars fashion collection. 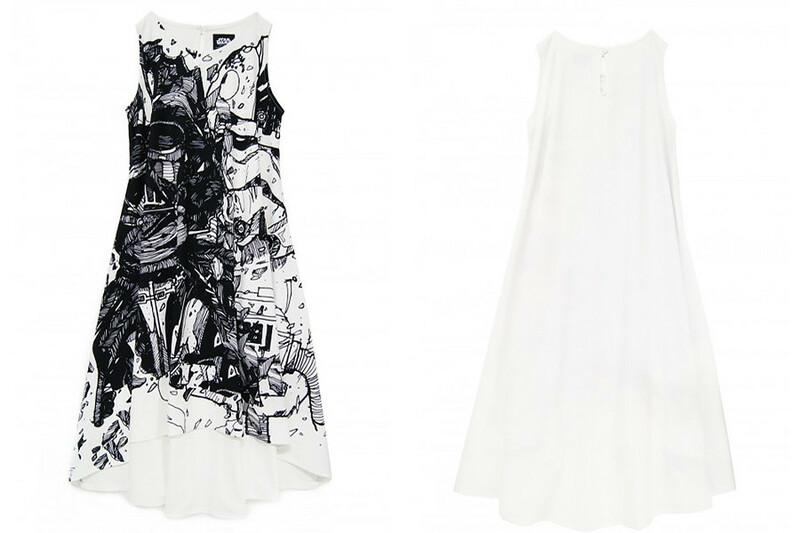 The collection features amazing artwork of Darth Vader, AT-AT driver, as well as a lovely galaxy style print with the Rebel and Empire symbols. 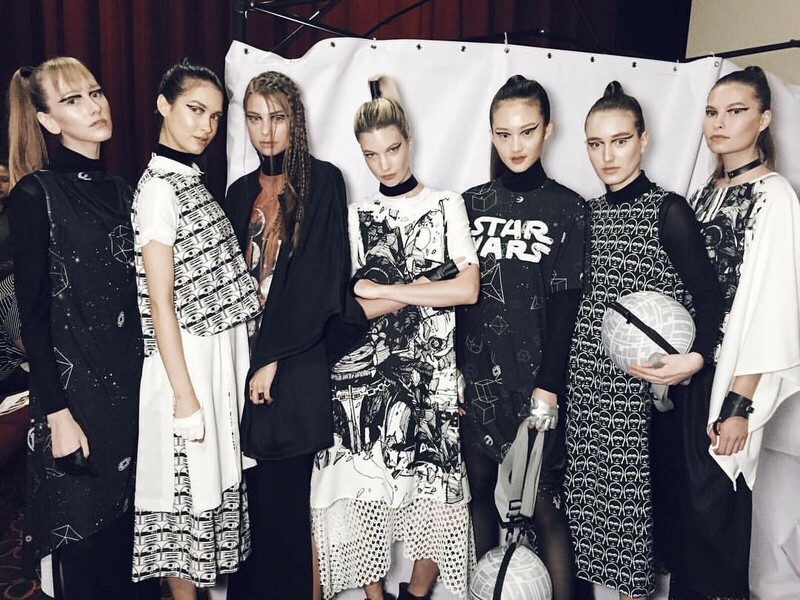 Selected items from the collection are currently available on the Sabrina Goh website. 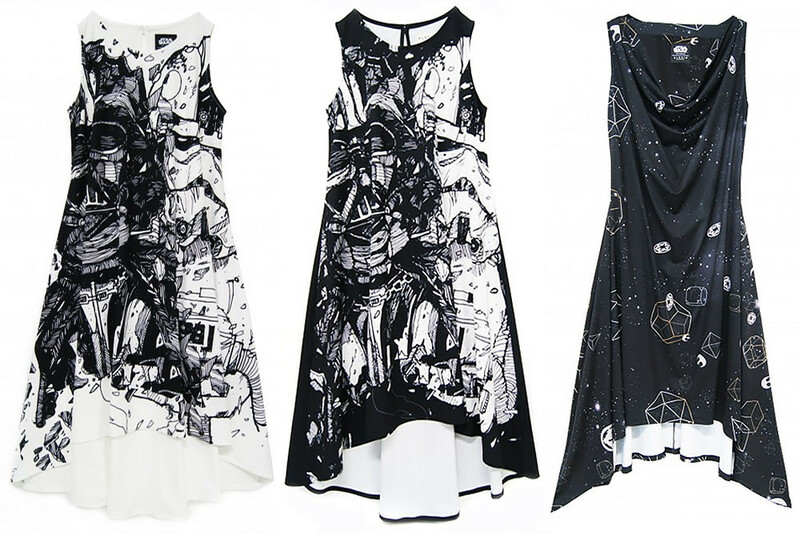 Prices range from SGD$149.90 each to SGD$219.90 each or US$201.50 each to US$295.60 each. 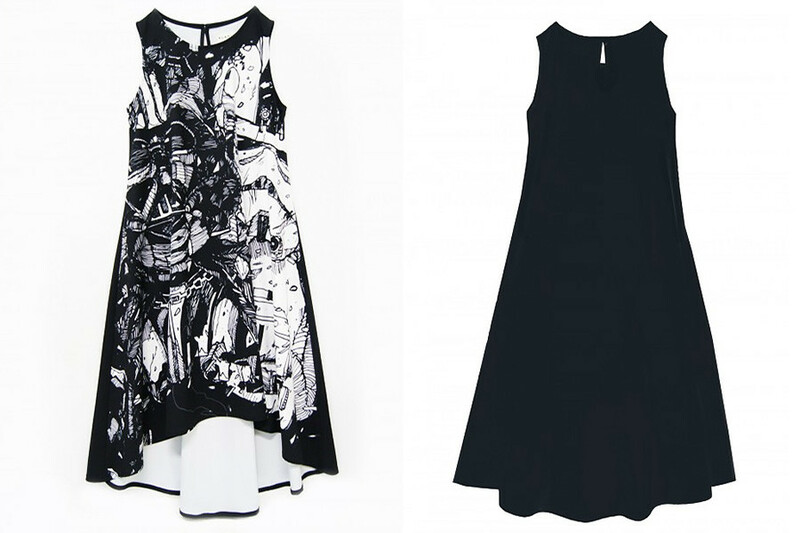 The Sabrina Goh website can ship internationally, which is great to see. 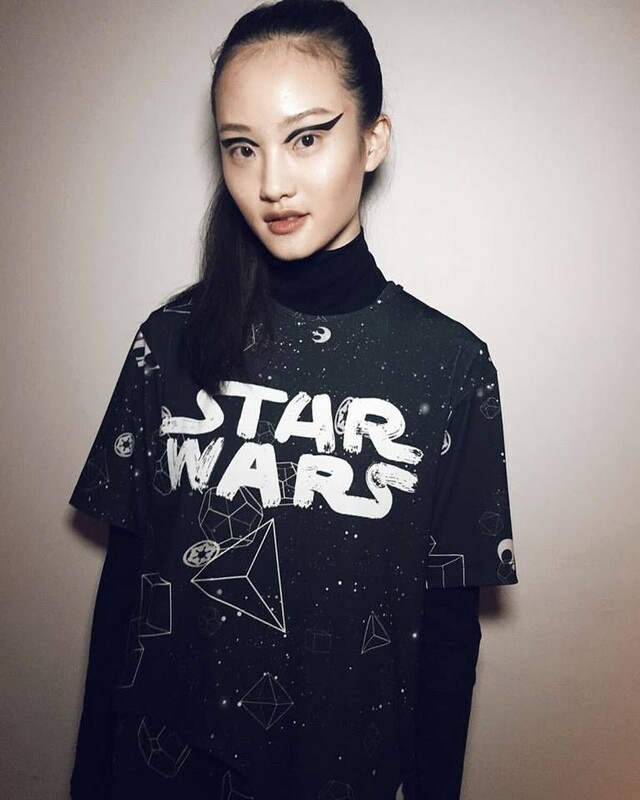 Check out the stunning collection below – this is the sort of fashion design I would love to see from the well known US based licensed apparel brands. 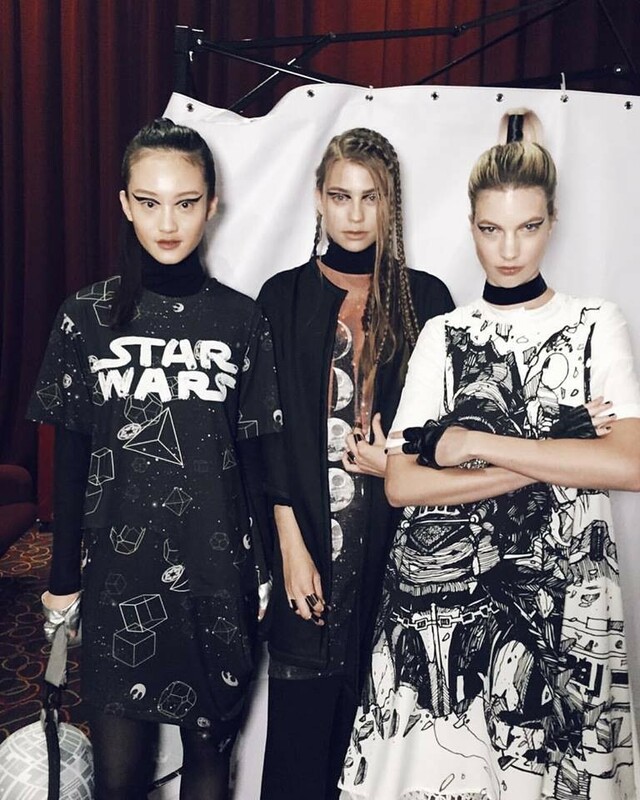 The classic white and black palette really lets the artwork stand out – check out photos from the premiere event here. 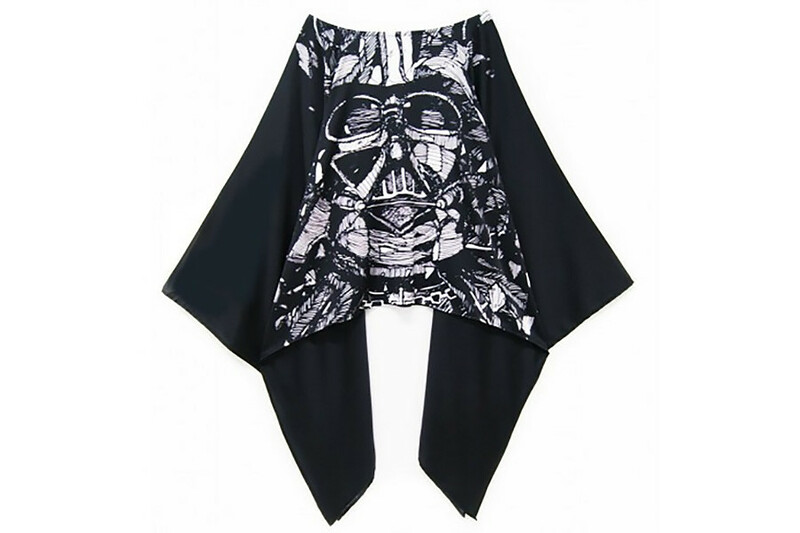 Elohim By Sabrinagoh’s Star Wars Darth Vader Cape Top is cut from fine polyester crepe that has a beautiful fluid drape. 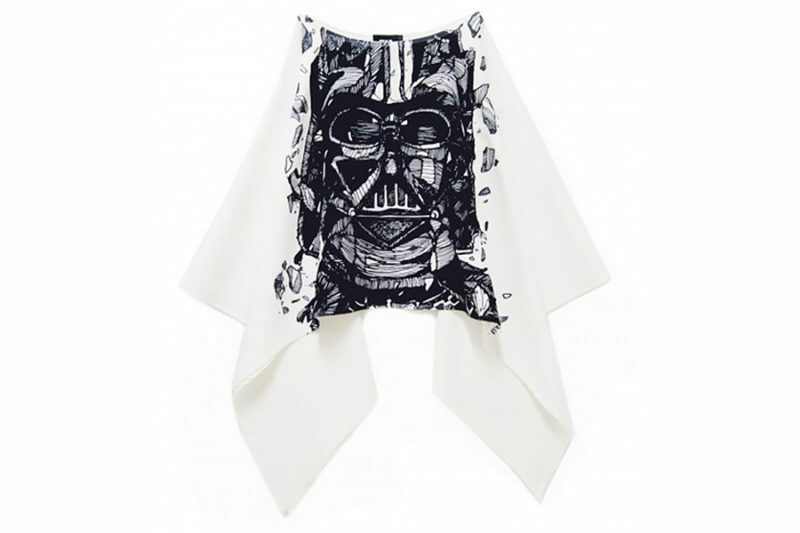 We love the sketch effect of the darth vader print and the cape effect on both side of the sleeves. Style yours with skinny or long palazzo pants. 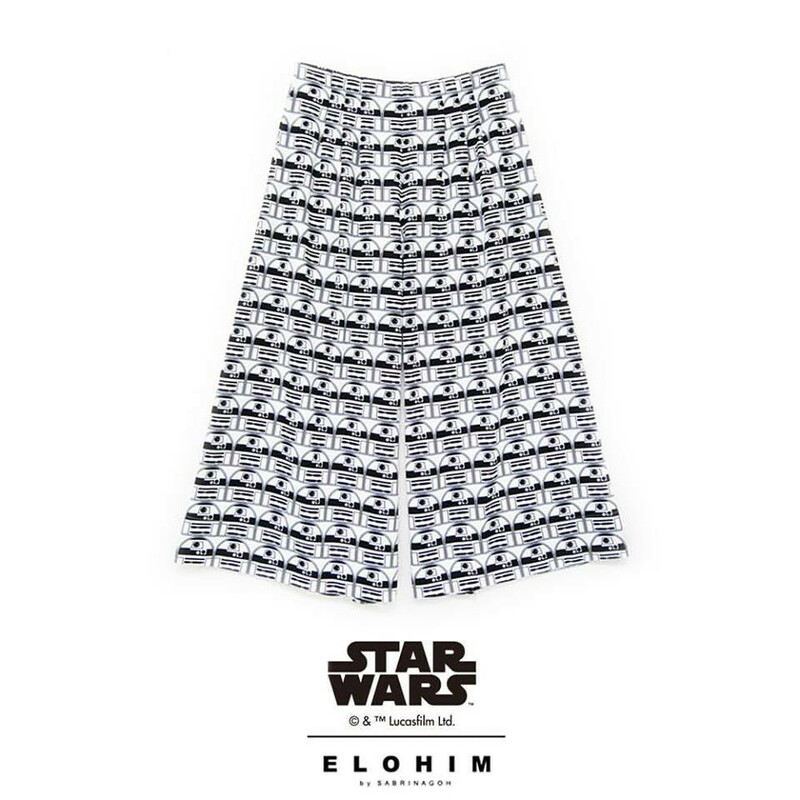 Elohim by Sabrina Goh’s Star Wars Sketch Dress is cut from lightweight crepe- we love the way it drapes and moves. This elegant dress is tailored with a flattering silhouette and cut shorter in front and longer at the back. Keep your look effortless with silver sandals. 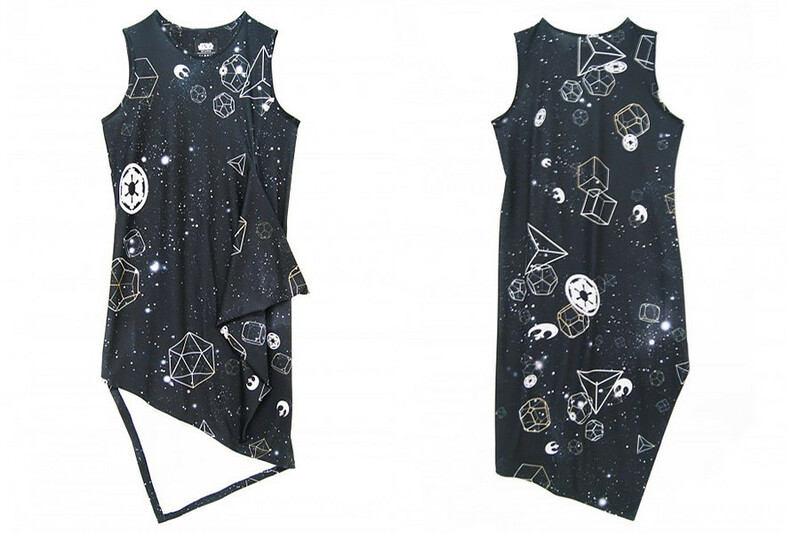 Elohim by Sabrina Goh’s Star Wars Galaxy print asymmetrical dress is a year round staple. 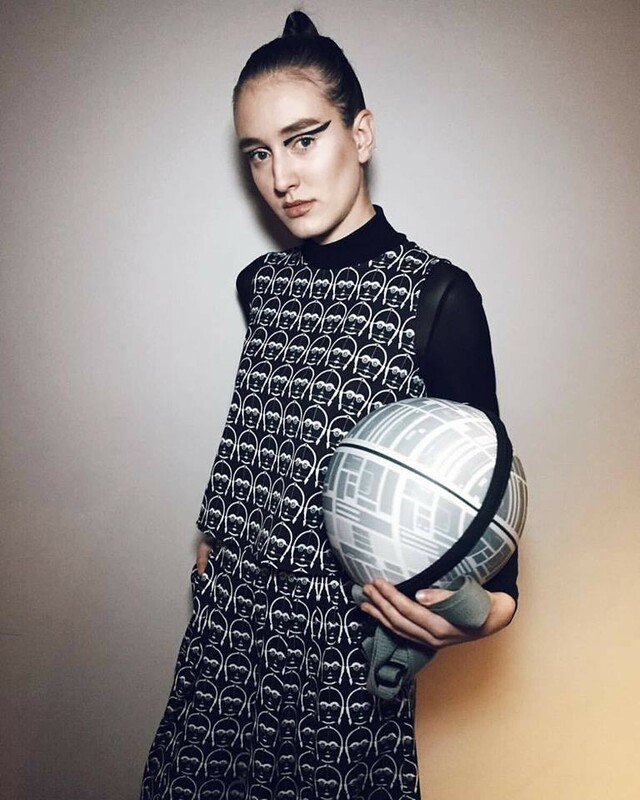 This sleeveless style has an unique cut at the side, compliment the design with minimal accessories. 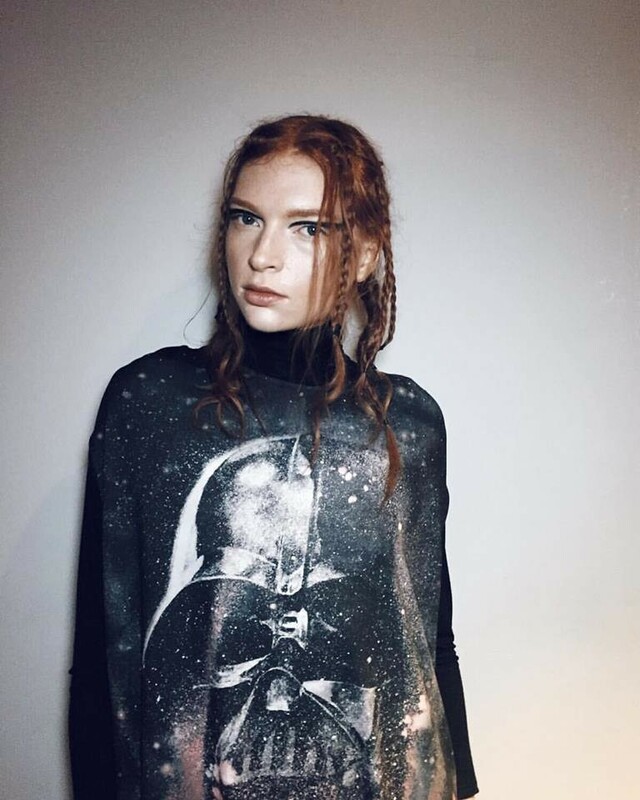 Elohim By Sabrina Goh’s Star Wars Galaxy Cowl Neck Dress exudes a cool effortlessness that is synonymous with the brand. Crafted from soft polyester knit, this elegant draped style is cut to enhance its figure flattering silhouette and falls to an uneven hemline. Wear yours with simple black sandals. 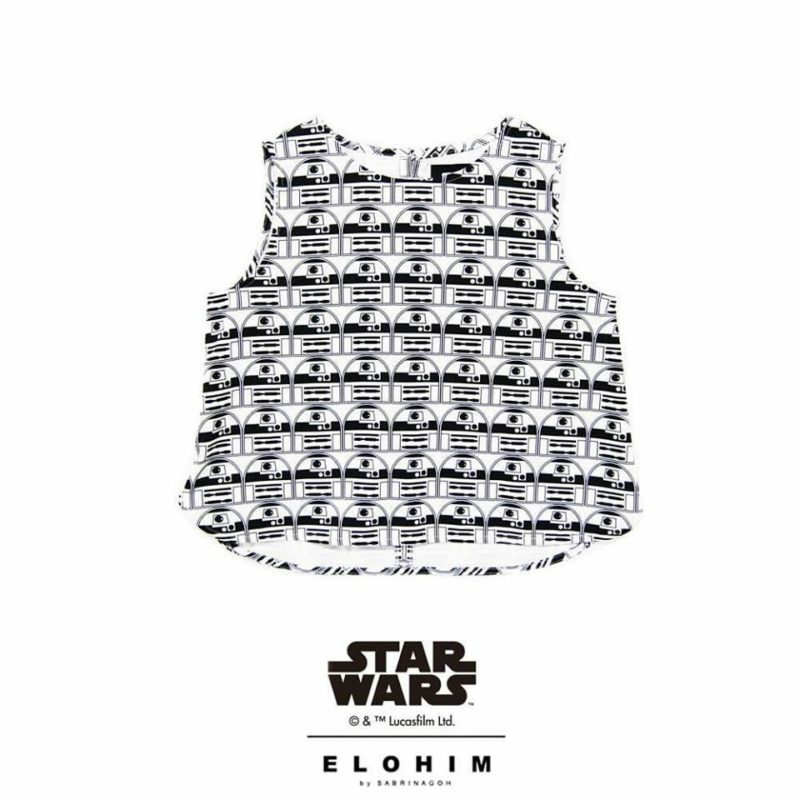 Elohim By Sabrinagoh’s Star Wars Galaxy Asymmetrial Top has a forgiving fit that will flatter any body shape. 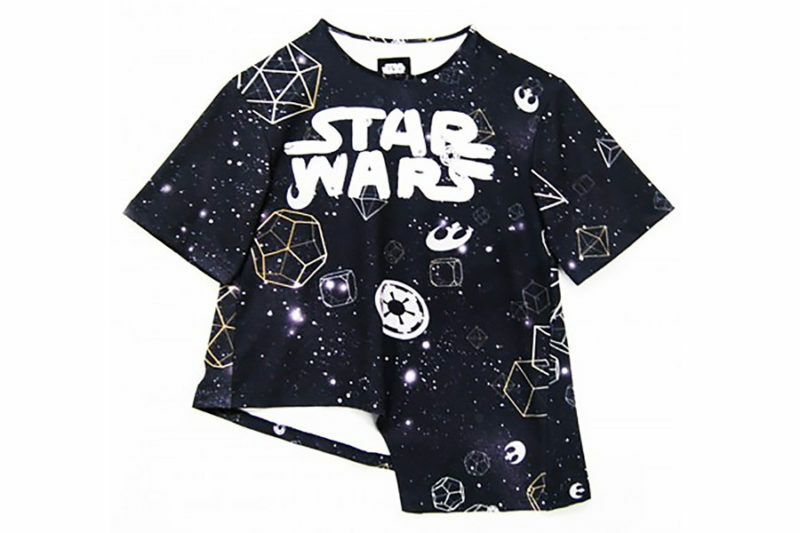 Made from polyester knit. 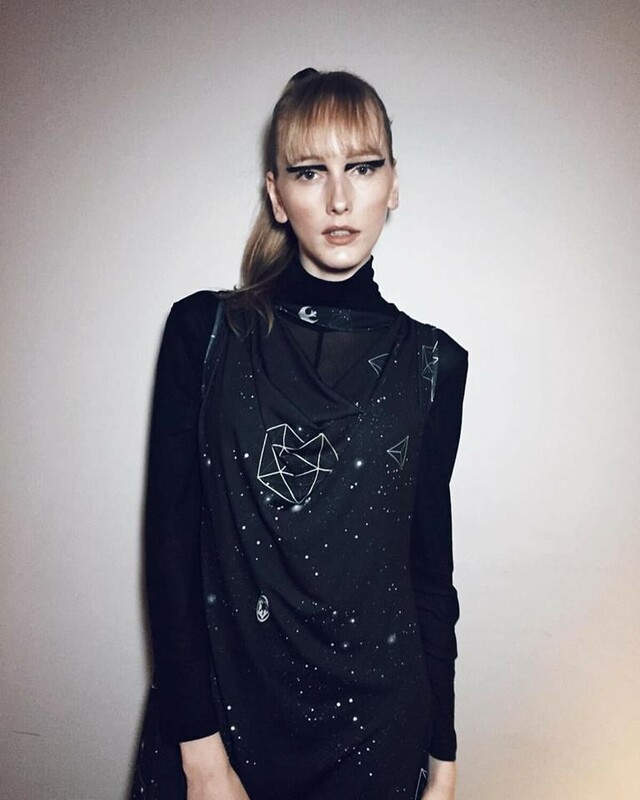 the digitally printed galaxy print has an asymmetrical front and dipped back hem. 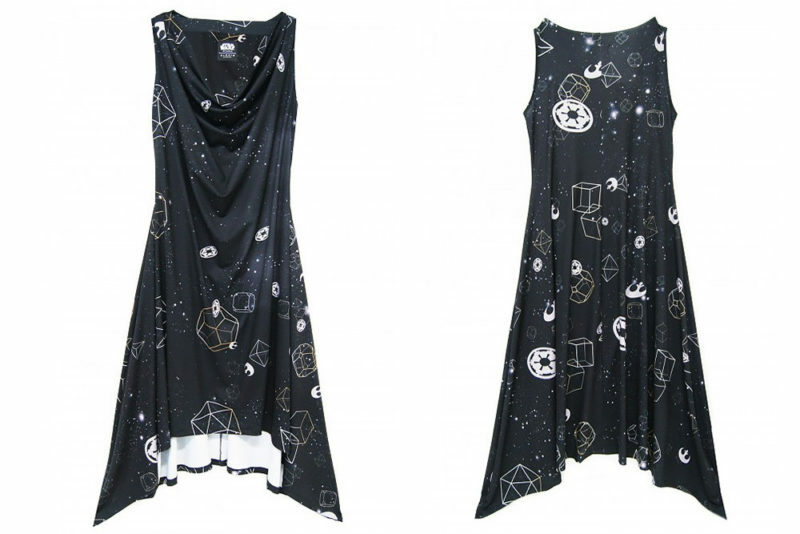 We like it best paired with our galaxy asymmetrical dress. 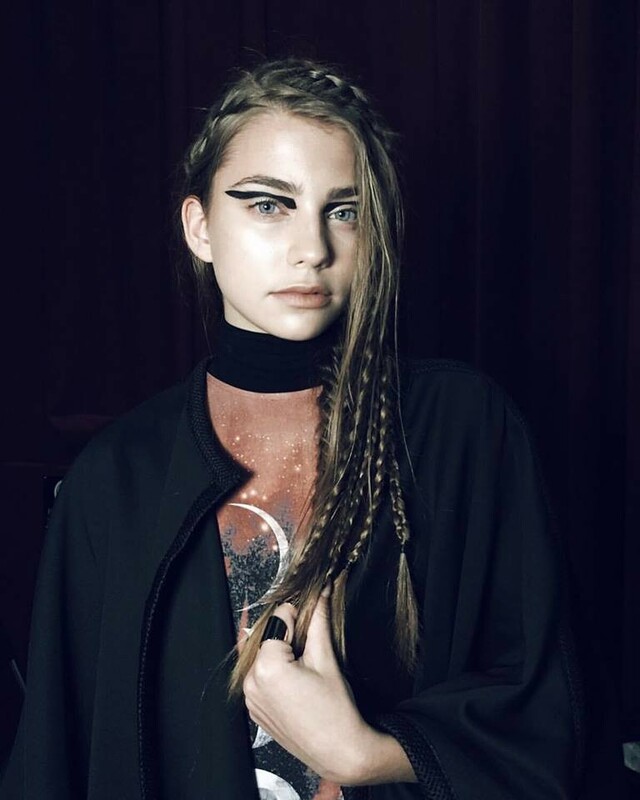 Photos sourced from and belong to Elohim by Sabrina Goh.